I have over 4 years of hands-on experience in UX design for rich web and native mobile apps fortified with basic front-end development knowledge. I'm an entrepreneur, technologist and an advocate for digital product users. I have over 4 years hands-on experience in UX design for rich web and native mobile apps fortified with basic front-end development knowledge. I focus on creating simple, intuitive, and innovative digital user experiences. I'm user-centric with innate creative skills to express concepts visually and bring simplicity to complex user journeys. I have worked as part of a team to create brilliant website and mobile products. I put the users first when designing. I have the constant need to question the status quo and approach problems logically with actionable recommendations from data and insights. With a flexible design process, I bring ideas to life and redefine complex interfaces iteratively from research through to wireframing, prototyping and user testing. I possess excellent conceptualisation ability in sketching and mind-mapping. I have avid interest in Artificial Intelligence and Emerging Technologies. I'm also passionate about contributing to the community by connecting and empowering local designers. I will look into all the data I can get my hands on to inform my process. Understand who the users truly are and what their pain points are. I will seek to identify what is happening and why it is happening. This is about gathering materials and inspiration. I will dedicate time to come up with everything that can create a basic style guide, invoke ideation with the team, then organize a short review discussion to make sure we're on the same page. I creat customer journeys and experiences via written specifications, wireframes, mock-ups. I will seek to gain early validation for my design ideas by prototyping rapidly then testing iteratively. . My typical pre-ship activities involve metric measures, A/B testing, issue detection, usability testing and report. Sprint review, sprint retrospective, followed with performance monitoring, capacity planning, improvement recommendation and scalability analysis based on project scope and the business. Over the course of my professional career as a Front-End Developer, User Researcher and now full-time UI/UX Designer, I have found the following practices and principles true and helpful. The willingness to learn new techniques and a constant need to question status quo in a bid to discover new ways of improving systems effectiveness makes for a positive learning experience. Liaising with stakeholders from different walks of life betters my stakeholder management skills. Engaging other specialists of various disciplines in a team improves my cross-functional skills which is relevant in today's dynamic world of IT. 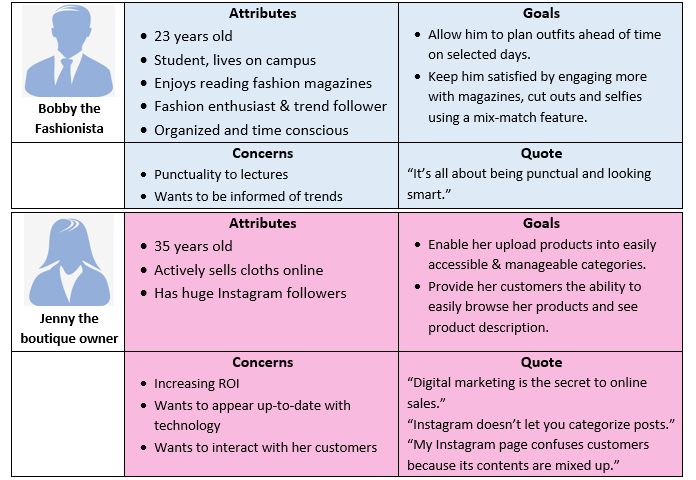 I learnt through A/B testing the importance of personas to simulate users subjectively because broad classification of users usually yields inconsistent product. Users will generally adopt a product designed for a specific group of users (whose individual personalities have been considered) more easily than a product designed on the premise of market segmentation alone. Scrum is a wonderful framework for mitigating risks and the tendency to ship minimum valuable products early often induce collaboration and productivity in a team. Prototyping and testing for feedback iteratively usually encourages faster decision unlike when debating user needs and hypothetical solutions among team members. Responsive designs will boost metrics on mobile and beyond while assistive designs will enhance accessibility through compliance with the Web Content Accessibility Guidelines (WCAG) of WAI/W3C. The following projects span from research, responsive web design to App Design. 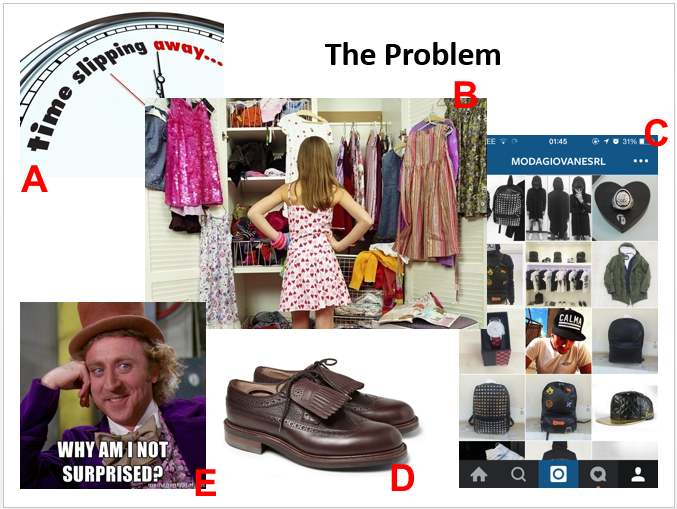 Wardrapp is an iPhone mobile app to help stylists and fashion enthusiasts digitize their wardrobe for easy management, planning & sharing. 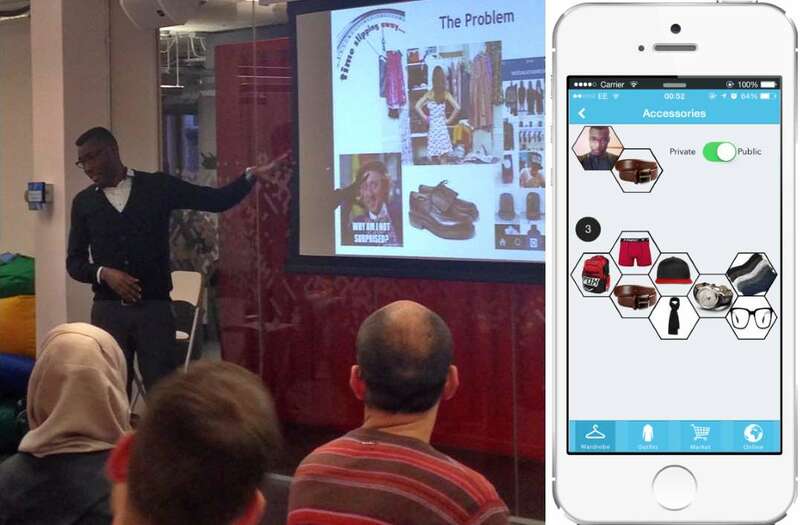 I kick-started the project as the Lead UX Designer by planning and conducting small scale research on wardrobe management. 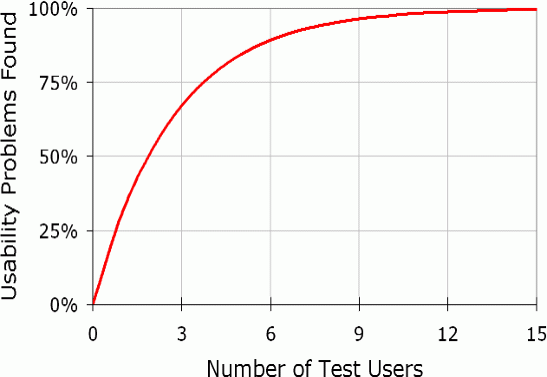 The research was insightful in identifying potential users, current limitations and gap opportunities. With comprehensive gap analysis, I was able to invert users pain points into goals like providing quick and short user registration, to include easily accessible and handy tutorial on functions, and provide a social feature to enable content interaction among users for inspirational purposes. In the end, the values created for users include the ability to upload wardrobe contents online for accessibility, management and exhibition purposes. 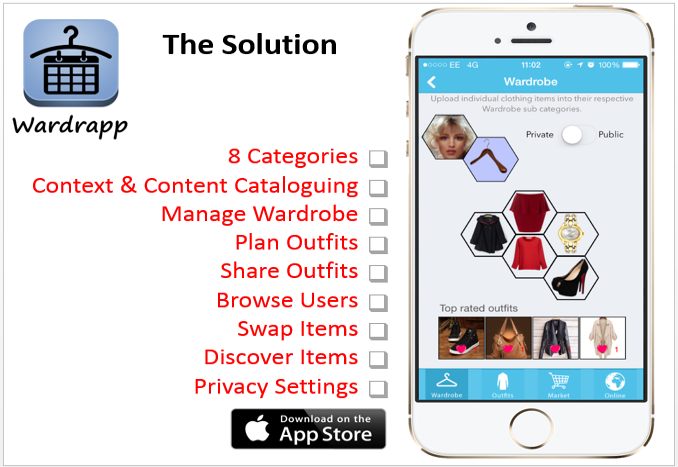 Cataloguing clothing items had never been as easy and useful with 8 categories and in-depth sub categories. 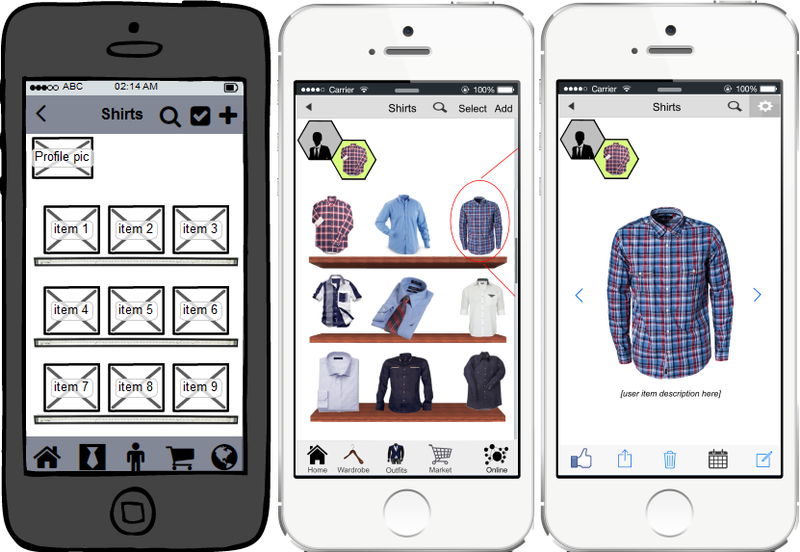 Fashion retailers are now able to drive store visits, lead generation and customer conversion by managing a store account within the app. 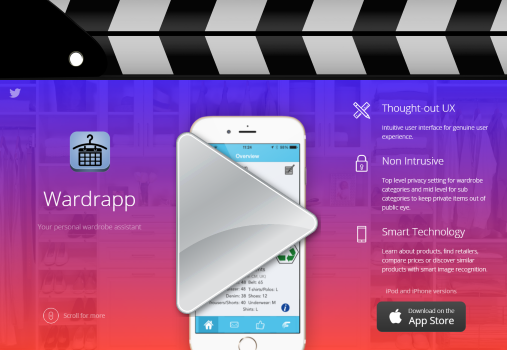 Wardrapp is an iPhone mobile app to help stylists and fashion enthusiasts digitize their wardrobe for easy management, planning & sharing. In this project, I used Balsamiq to create the wireframes, Axure RP for interactive prototypes alongside a bundle of vector and raster image editors including Inkscape, Illustrator and GIMP. I also hosted the mockups on InvisionApp for enhanced prototyping and team collaboration. I visually depict scenarios with storyboards to show the context, the problem, the user's fears/motivations, and how the problem will be solved. It enables me reality-check my designs. 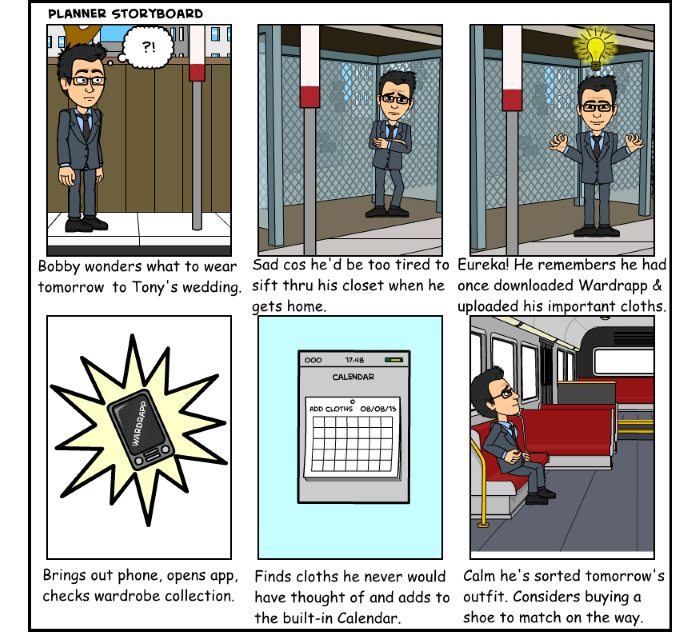 I use tools like Bitstrips to quickly create storyboards. 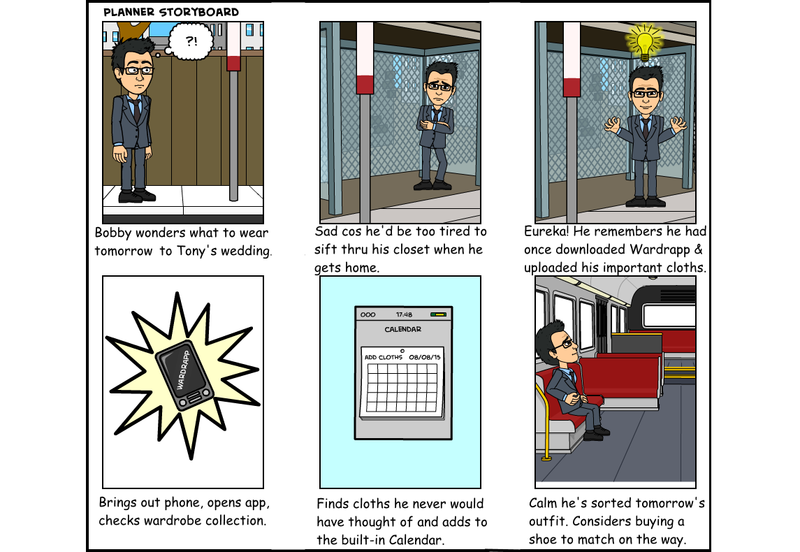 Using storyboards, I was able to describe the behaviour of the system interface in more detail to the Wardrobe App client by incorporating a story into it. Also, it was a great communication tool that kept the team on track as we started the development work. After several site visits and 1-1 interview with prospective users, I then created an Experience Map to express a visual story about users' tasks and pain points from my observations. This technique allowed me to extract pain points, goals and persona information. The Experience Map was often revised in collaboration with the development team in order for the team to focus on the problem, not the solution. The Experience Map spawn the Story Map and it helped each team member to build a common understanding of user issues and in particular allowed Alex, a full stack developer in the team that I often took along to site visits, share his experience. I discovered that most of the existing wardrobe apps had a common, grid interface which some users found passive. So in order to create a catchy interface, the idea of 3-D animated, colony-like structure to display the feature buttons side by side was begotten through an ideation process with the team. Although some users criticized the model but most users found it creative and new. It came more at the disfavour of trypophobic users i.e. those with pathological fear of holes and hive-like structures.  The issue of trypophobia with some users was then addressed by substituting the 3-D colony interface for a flat, simple interface. Considering the small size of the team, I chose to apply ideation by brainstorming in order to not subject myself to the local maximum trap but rather explore several alternative designs for the user interface before committing effort into creating prototypes. 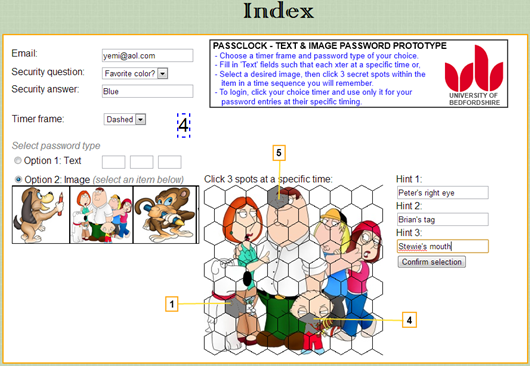 The team came up with several designs for the interface structure as a result and then the most practical, novel and delightful design through dot-voting and A/B testing was adopted. Ideation technique also motivated the team by having the satisfaction that everyone contributed to the solution carried on to prototypes. I generated different user personas to capture users behavior, pain points, motivations, and needs from contextual inquires. In a bid to make the development process more user-centred and understand who we were developing for, I created together with the team, a couple of personas-imaginary, yet realistic and detailed descriptions of the intended users of our product. Personas allowed the team to focus clearly on the requirements of a small group of users in order to deliver a streamlined product with a consistent message. It also allowed us to test our assumptions when we recruited users for usability testing based on the persona descriptions we created. For example, we realised that Jenny's (a fictitious user) laptop wasn't always available so updating her online store on-the-go was a problem. 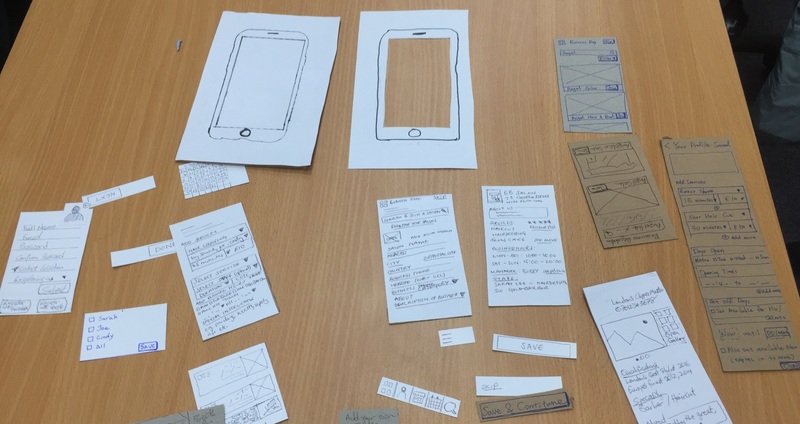 The need to produce a minimal version of the interface using easily movable and replaceable interface elements to get essential feedback from users led me to create low fidelity prototypes from pieces of paper. I decided to conduct quick and inexpensive paper prototyping before wireframing not only because it's faster to change when usability issues are uncovered but also because it gets users involved early in the design process by presenting an unfinished look so users can be more open in their criticism when they interact with the prototypes without concern for wasted resources. 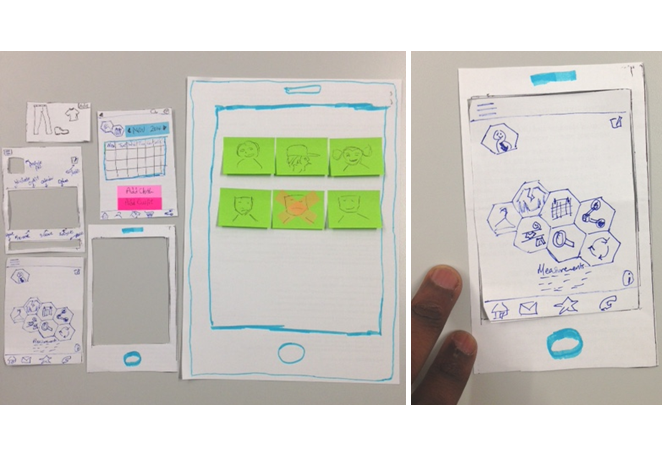 I found that participants were more honest when working with the paper prototypes because it was obvious to them that the interface was not yet finalized. Also, the sentiment that their input stands a chance of making a difference without being restrained from hurting my feelings, as they might presume if I showed them a pixel perfect model on screen, helped. Then I discovered that the team was more eager to consider changes and try alternative designs when some features didn't work too well for users than if they had put in so much effort in coding which would make them reluctant to make changes. I collected metrics to determine the success of some features at the prototyping stage and at every shipment stage by measuring their efficiency, effectiveness and user satisfaction. I was able to understand how well we've met users’ needs with the features we implemented. For example, a metric for effectiveness showed that users spent 30% more time on Wardrapp compared to the existing apps as a result of the social networking feature which they found to be engaging. Some users were found to have trouble understanding the dashboard icons because they couldn’t remember the functions associated with each button on repeat use.  Other users expressed preference for saved items to display on the chosen dates from the calendar month view. I introduced more intuitive dashboard icons, chose a non-obstructive “info” button over text label to call up a floating screen guide, then added a burger menu with a ‘How it works’ tutorial page link listed within it. This made the app more intuitive and efficient. I also redesigned the Planner page to display minimized images of cloths on the dates they are planned for so that an enlarged view of contents appears when a date is tapped. These changes resulted in a more interactive user interface, thus enhanced usability. 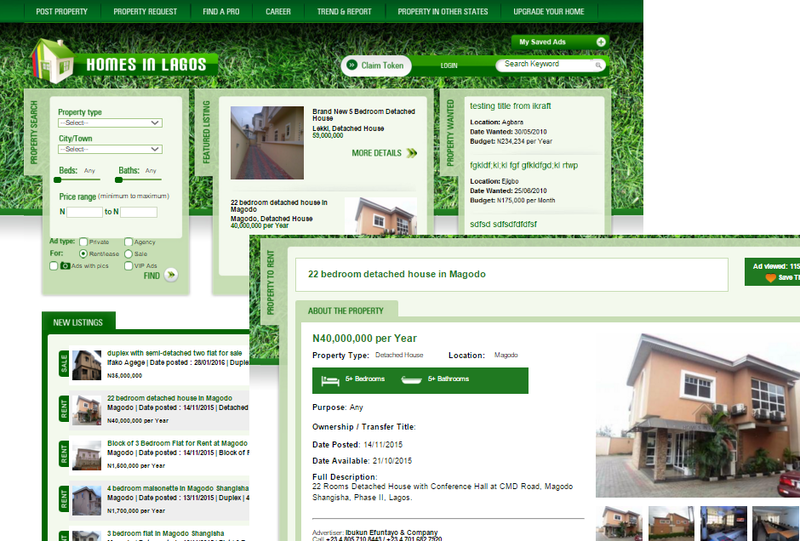 I was tasked with designing a real estate content management system regarded as novel at the time for a not-so-technical market. 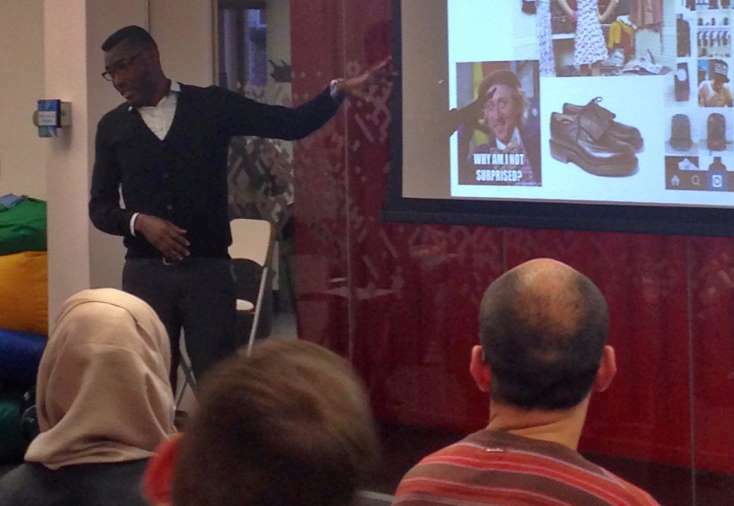 I carried out extensive user research in order to ensure user needs were well understood and provided for. I then applied effective Information Architecture to the website's taxonomy and ensured the interface was user-friendly. I managed the visual design in terms of typography and branding then conducted several usability tests. Sitting a joint position as the Product Manager and UX Designer for the company at the time, I performed market analysis and managed several workshops for realtors that were just adapting to the new service. In the end, the client was left impressed, user satisfaction rate for the website increased but acquisition rate was quite slack due to budgetary factors affecting traction. I put my research skill to use in this project by collecting up to ten brewery websites of established brands to draw inspirations from and identify trends. I discovered that most of the websites were thirst-inspiring and have some wooden touch to their interface while some were quite artistic. I then proceeded with follow up face-to-face interview with the client to seek their preference. The outcome is a clean and simple website, trendy with wooden background, appealing with photos appropriate to context and detailed with relevant content presented on the home page which earned the client's recommendation with other colleagues. I designed and co-developed a sleek responsive parallax landing page for a wardrobe app. 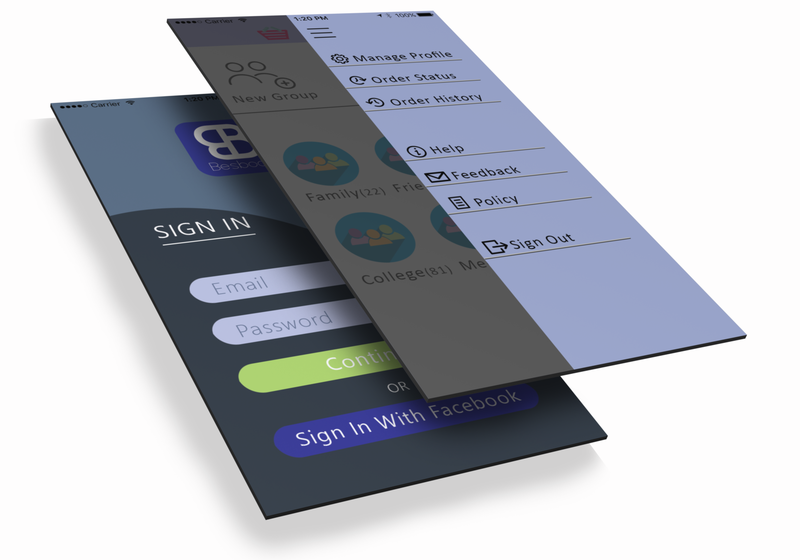 Due to the size of the job involving not more than two front-end developers including myself, and the need to rapidly create a landing page to meet the timely release of the app on App Store, I used free hand sketch to conceptualise the interface layout and moved quickly to coding. I determined the user interface specification, coded with jQuery, Javascipt, Bootstrap, HTML5 and CSS3, monitored compliance to original design to avoid straying during coding, tested user acceptance with A/B test and measured conversion rate with Google Analytics. 40% of the participants found the system adequately usable in terms of password simplicity and memorability, while 60% found it very usable. 100% of them agreed they would be encouraged to use our system as password choice for online shopping and Internet banking services and 80% agreed for its implementation in ATM services. 96% agreed that the system interface was user friendly, and 90% of them agreed that they easily understood the system. My role as a User Researcher for the re-engineering and optimisation of bet365 web video poker involved deciding the appropriate research methodology to context; conducting market research and competitor analysis for insights to support policy and project objectives; planning, designing & conducting research for user data acquisition and audience profile generation; identifying stakeholders' needs, negotiating priorities between stakeholders' interests, and collaborating with developers to ensure consistent implementation of requirements. I collected, analysed & interpreted data to identify patterns and solutions from surveys, support and server logs; then extracted actionable requirements from UX research findings to develop specifications. 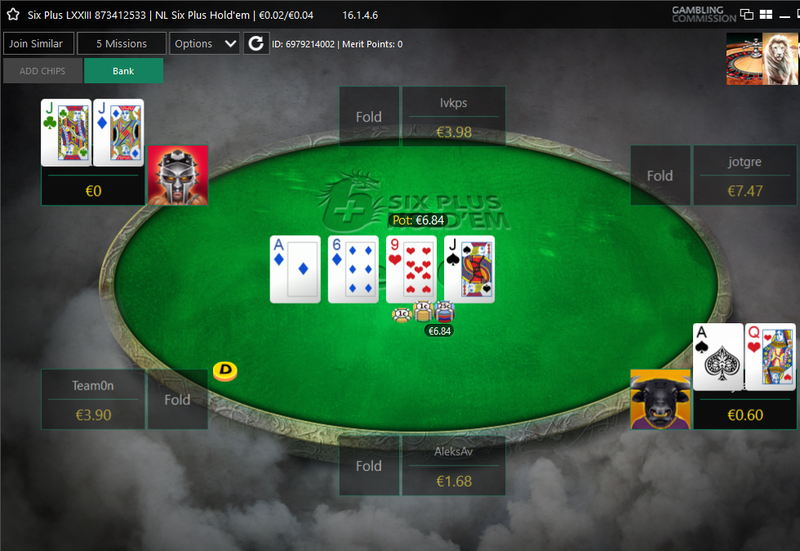 I collaborated with a team of six using JIRA to maintain a product backlog for the development of MVP beta versions on OpenBet platform. The project finished off by extending into long term R&D once the project sponsors understood product market fit in the new web gaming. When not occupied with clients' projects, I devote my time to the design and development of my personal project which is the UX Connect website. I have worked on the website using Axure from designing the interface layout, site map, interaction and navigation to applying an effective content strategy for simple and seamless user experience. With a mobile-first approach, the website is made responsive across different devices and screen sizes. Performance is prioritised with speed maintained above average to provide data friendly experience for slow connections and users on limited mobile data considering the site uses Parallax scrolling with most of its content on a single page. I conducted A/B testing on many occassions to get the information architecture right and to ensure appropriate elements design. I also use Google Analytics to track users' journey on the website to detect navigation issues. Lately, I've been designing a new module to be developed and integrated soon. You may ask me about this in person. At the discovery stage of this project, I had series of early client meetings to capture the whats and whys of their idea. As it is a new project, the design process for me to date has involved research (interviews, competitive analysis), sketching, ideating with the team on Trello, plotting user journey with flow chart thus deducing a sitemap, wireframing using Balsamiq, paper prototyping, producing mockups with Adobe Photoshop and Illustrator, prototyping with Invision, and guerilla testing the design as I go. Not much can be disclosed now as the project is currently NDA protected. The mentorship site for UX Connect London is a proposed platform targeting product design professionals in London seeking and/or providing mentoring. 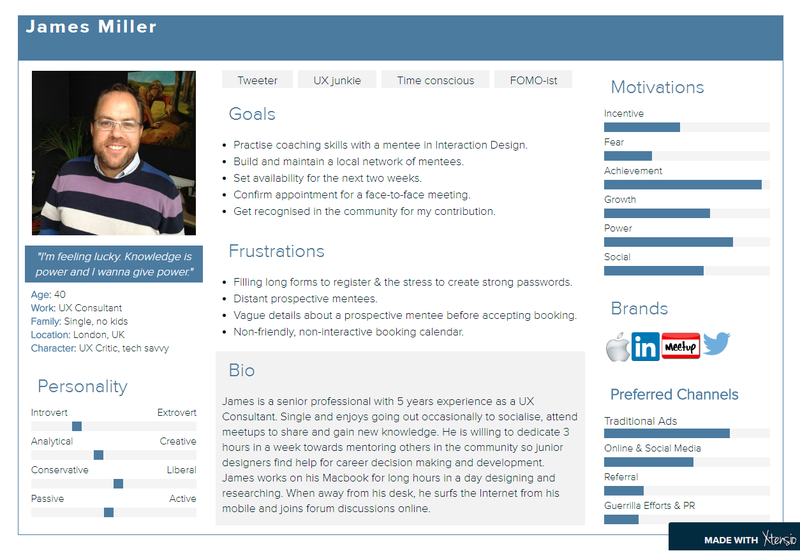 At the discovery stage of this project, we designed three different user personas and James being one of them. With it, the team could put a human face and archetype to the user model that befits the product. Although this discovery process was initiated with a fictional model as a starting point to narrow down targeted groups for our survey, we were later equipped with facts and data to create real models from our understanding of what the user needs, motivations, goals and context of use might be. This is an interesting project with different design techniques applied already which I would be happy to walk you through the case study upon inquiry. It is very important for a digital studio to walk its talk and create great first impression of its trade. 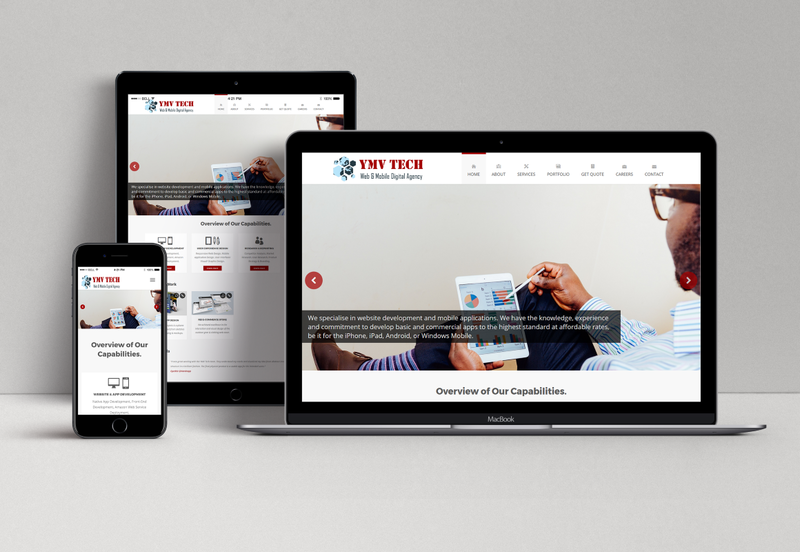 For this reason, the rebrand of YMV Tech was called forth for a fluid, responsive and beautiful website which I would be part of as the lead UX designer. First came the understanding that more site visits will occur on mobile browsers as users are more mobile-ready these days, then ensure brand consistency across platforms/devices/screens from desktop browsers to palm size mobile versions. The website was initially prototyped using a mobile-first approach from the ground up with the aid of Axure then rapidly proceeded to development after brief guerilla testing with the team. With my knowledge of HTML, CSS, JS and Twitter Bootstrap framework, I co-developed the website and simulated its media queries (break points). The final product is a simple, interactive website with grid style information architecture not heavy on the eyes but engaging. I then implemented Google Analytics as the icing on the cake to continuously track metrics, identify and optimise conversion and search engine visibility. Wallet app - a clean and simple budget app for managing finances across multiple currencies and financial institutions was revisited to enhance experience for its Android users with platform specific value and visual appeal. So I reverse-engineered and re-created the interaction design on the foundational principles of Android Material Design. The result is a usable product that conforms with platform standards, yet maintains brand consistency. I'm passionate about product design and I enjoy contributing to the local creative community through events and mentoring programs. Because of this, I founded one of London's fastest growing UX networking group branded UX Connect London, and through the platform I've been able to organise different events to educate, inspire, entertain and support the community by hosting a range of professionals and series A, B, C funded startups on relevant topics. 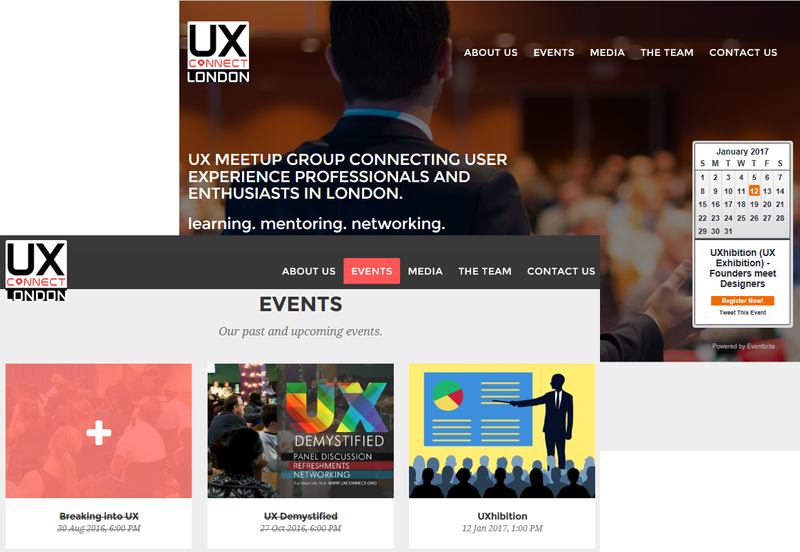 I've also been privileged to design and implement two new projects for the community which include a mentors portal and a Quora-like, product-specific QnA portal as extensions to the group's official website at london.uxconnect.org. 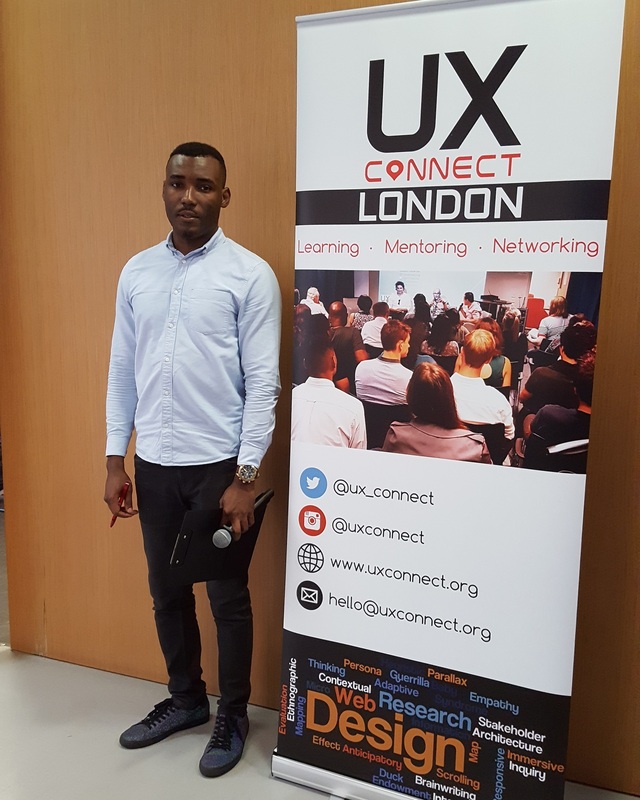 An active micro blogger and dispatcher of all things UX on Twitter across two pages with thousands of followers: @uxyemi and @ux_connect. Also a digital content manager on Instagram as @uxconnect. Copyright © 2017 UXYemi by Yemi. 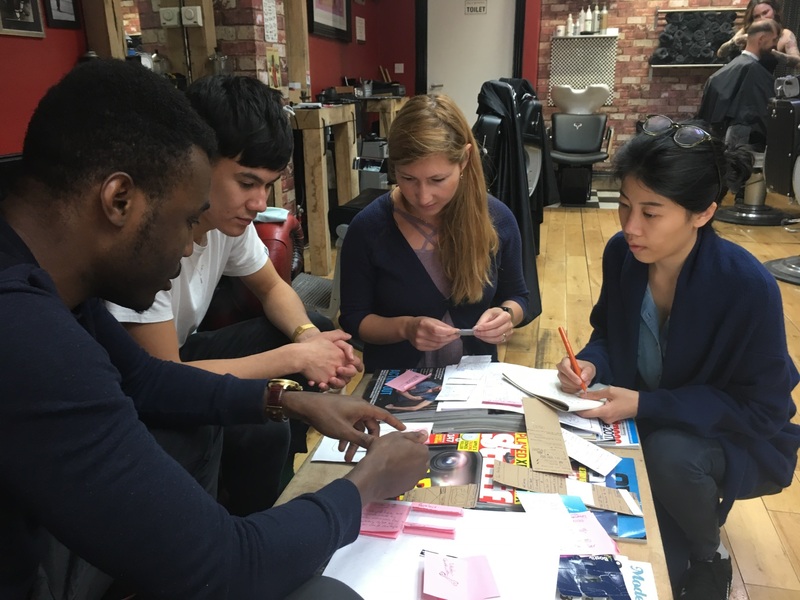 The team at YMV Tech, a digital agency in London, was tasked with developing a hair & beauty salon app from scratch for a startup client. The proposal intended to have it available for iOS and Android smartphones so a strategic approach was taken to design for the iOS at first and make a blueprint from it for the Android version. The team size was 9 including myself as the UX Lead and Product Manager, 4 Junior UX Designers (co-located), 2 Visual Designers and 2 Developers (remote). The project adopted an Agile approach through 3 distinct phases of product discovery, design and development. The discovery stage kicked off with interviewing the project client as a key stakeholder to elicit product requirements, capture and understand their idea, needs and concerns. This led to the creation of the Requirement Document which served as a living document to guide the team and keep other stakeholders in the loop. Following a product brief, we decided to gain a good understanding of the industry and seek to fill our knowledge gap the fastest means possible by way of competitive analysis. The technique provided us with market research data by helping to identify the market segmentation, competitors - direct & indirect, the key players, their strengths and weaknesses, and then enabling us to uncover opportunity gaps. Partially equipped with the research findings obtained from the competitive analysis by synthesizing the data into unmet needs and key questions, individual preconceptions and new assumptions were triggered within the team about the beauty industry. Hair & beauty salons inevitably record high amount of inactive periods at certain times on week days, thus may find a service that offers the opportunity to increase traffic at all times even at the expense of reduced revenue valuable. Low end salons or service providers fail to adopt salon apps because they fear they (apps) don't represent their economic and legal conditions. Frequent cancelation of online bookings by customers and no shows make stylists less confident in booking systems. Giving hair and beauty stylists more control of their trade will engage them more with the app. Hair & beauty customers are less inclined to change salons or stylists thus might have less need for a salon app. The need to validate these assumptions was crucial while at the same time we were faced with very limited resources such as time and budget, so it was important to put the available resources to effective use. We thought research was required and a tactical decision was made to apply a qualitative method to researching the vendor-users (service providers) being a subset of the target audience, and a quantitative method by survey to gain insightful data from the client-users (salon customers) as the other audience subset. I drafted two different research plans to study the vendors (qualitative) and the clients (quantitative) with the formulation of 3 research questions for each methods which would later aid formulating more sets of sub questions to research the participants with. How effective has past deals and promotions been to your business? How often and when do you have quiet/inactive business hours during the week? What would be of importance to you on a booking system? Our main goal with the vendor research objectives was to understand possible incentives to engage and empower stylists more. How open are you to receive treatments from no particular stylist? What would motivate you to use a salon app? What would be of importance to you when choosing a salon/stylist from a pool of others? Both research methods gave us further insights about the industry as well as the stakeholders, thus enabling us to validate and invalidate our initial assumptions that formed the research hypotheses. For example, we could uncover that the industry has many undocumented migrants as independent stylists who might perceive an app tailored for them differently or useless with the assumption that attaching a bank account and paying tax would be a necessity. We could also invalidate the assumption that all stylists or salon would be readily willing to offer deals for increased business. The customer survey on the other hand revealed to us that majority of people will be more inclined to change salon or stylist based on recommendations, convenience to home or work, and pricing. Also people usually book hair or beauty services over the phone. Although insightful, the survey finding has low confidence level considering the small size of respondents (under 100) surveyed. The research findings also informed our opinions about the user demographics, their archetypes, motivations, pains and frustrations which we fed into the personas. Initially, as many as 6 different personas were profiled but as the product strategy and design direction became clearer, it was important to design around as few personas as possible to eliminate value ambiguity, so we reduced the personas to 3 distinct user subsets which became our primary personas, and a secondary fourth persona. 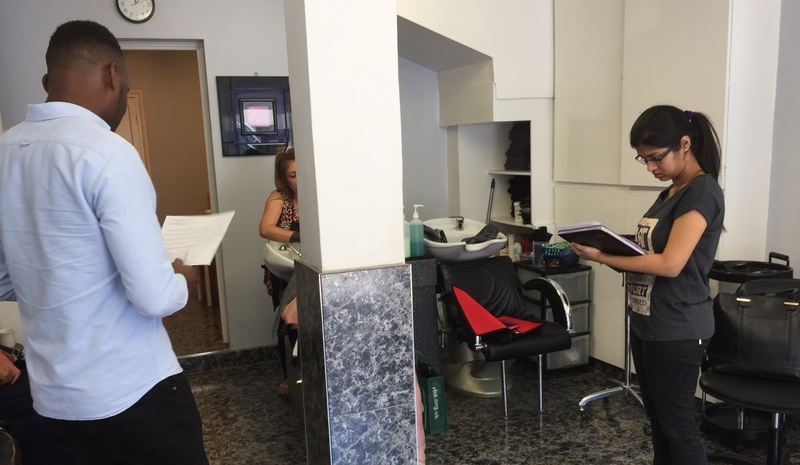 The personas enabled us to identify who our core users would be, then humanize and empathise with them rather than design a product for everyone as customers or all salon operators as vendors. It didn't take long before these personas became the subject of everyday conversation within the team. Not only did I advise team members to develop a persona each, I also oversaw the fusion and later assigned an ambassador to each of the final personas while I managed them (ambassadors). This helped to ensure that each persona was well represented during any decision making process. Synthesizing the research data further, I led the team from generating user stories to conducting workshops on affinity diagram to map user pain points, questions, motivations and expectations based on the relationships between data sets. 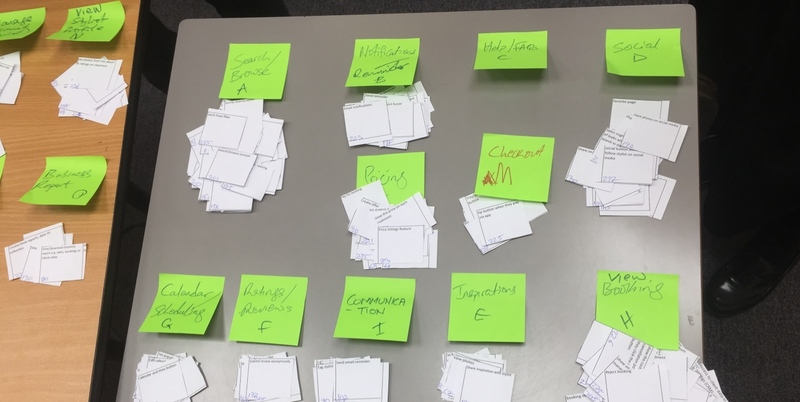 This aided our requirement gathering by extracting tasks that would enable users reach their goals efficiently and effectively, then futher pre-sorting, by method of card sorting, the tasks into related categories to ensure we design an intuitive system that supports findability and easy access to resources relevant to the user. Furthermore, we drafted different scenarios for the personas in order to understand possible work flows and context of use to reach major goals, while at the same time developed user journeys to capture potential issues for every use case. Having done this, I conducted another whiteboarding workshop with the team to create story maps that would lay out the work flows. I took this activity a step further with the team by onboarding them on StoriesonBoard.com, a useful online tool for collaborative story-mapping, as the need for space and flexibility grew. The digital tool saved us time and space compared to the conventional method. Also by working collaboratively anywhere and anytime, it allowed us mobility and the flexibility to easily revisit any work flow for revisions without the physical location constraint. The story map technique proved useful for ideation as we based our objectives on the goals (row 1), steps (row 2) and tasks (row 3+) laid out for the workflows. I organised and coordinated different ideation sessions with the team by applying double barrel methods of brainstorming and brainwriting followed with design studio and brainstorming for optimal creativity in suggesting, exploring, refining and communicating ideas. 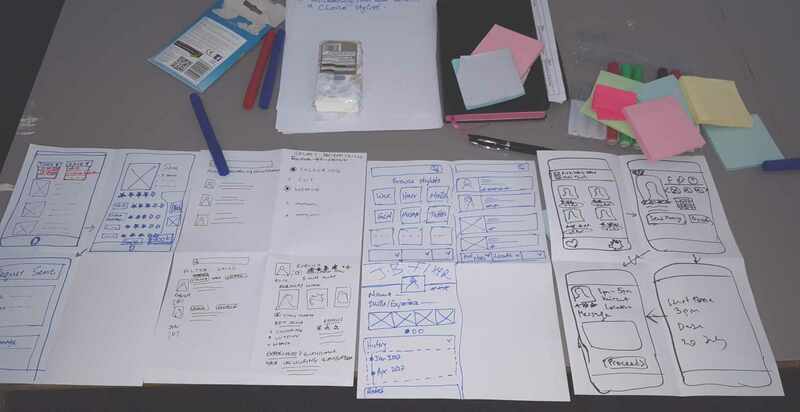 The ideation process took us through iterative stages of sketching and paper prototyping with the vendor-users to ensure that we were designing a product that actually solves their needs. We used both Victor (the independent stylist) and Victoria (the salon manager) personas to recruit participants. The feedback obtained from them enabled us to refine our sketches. We used Balsamiq for wireframing by going from sketches to creating a higher, yet low fidelity interface layouts. Not only did we use wireframes to communicate ideas with internal stakeholders, I also used them to present designs to the project client in a more concrete way by focusing on design structure and interaction without going into detail on aesthetics. The early feedback we got from the sketches and rapid prototyping informed and guided our design the cheapest and fastest possible means. It helped the team to become less attached to their ideas and creations but more open to modifying, adapting or eliminating some of them as required. Also, wireframing allowed us to easily capture possible navigations between interfaces that would be necessary to demonstrate in successive richer prototypes. As at the time of documenting this case study, we've commenced with the visual design using Adobe Photoshop and we intend to simulate the produced mockups with Invision, then conduct more usability testing sessions with representative participants of both user groups. The Sketch app is also being tried and tested by the Mac users in the team for evaluative purpose only. 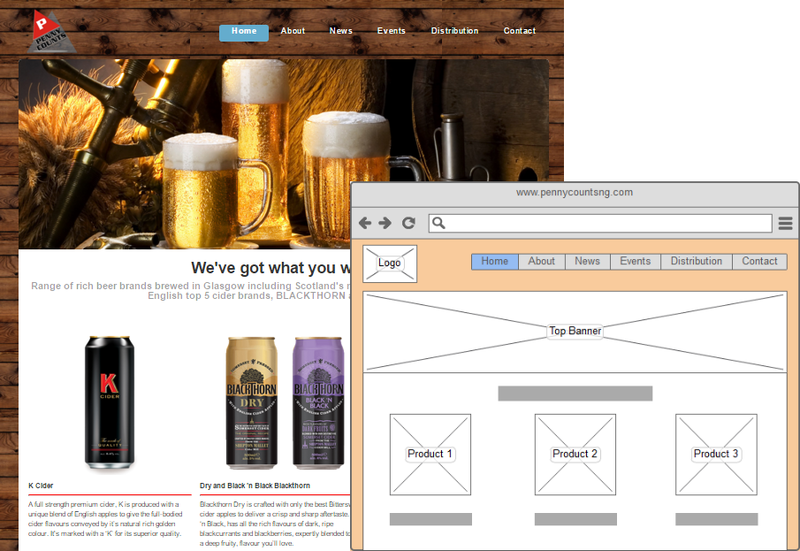 All the wireframes have been successfully reproduced into polished pixel-perfect mockups with new adjustments made. I worked closely with the visual designer to achieve this by defining and sharing the UI spec with him alongside the wireframes and other relevant design artifacts not initially available to him so that he understands the end-to-end user experience of the product. Also, to encourage room for creativity, I gave the designer as much authority as required to modify any wireframe where necessary and with a practical backing for any decision. This helped by allowing the UX team optimise their work even further and to also identify new considerations worth validating. 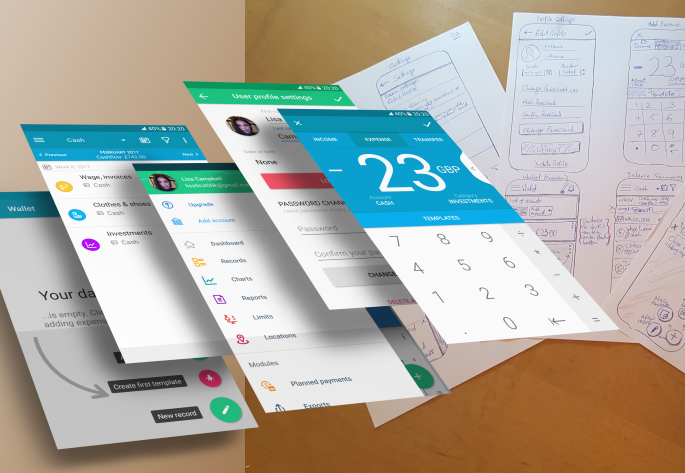 Equipped with the mockups, I could then simulate a prototype using InvisionApp for further testing. The following image represents some of the outcome of the low-high fidelity design process. I had several meetings with the project client to explore and obtain new requirements, so by understanding their branding needs such as the urgency of having marketing materials prepared early on, I went ahead to sketch different logo variations, flyer and banner design. Once the client made his selection, I went ahead to oversee the polished design by a graphic designer. The finished design left the client very pleased. The product landing page developed by myself is situated at www.prolific-x.com. Thanks for reading! 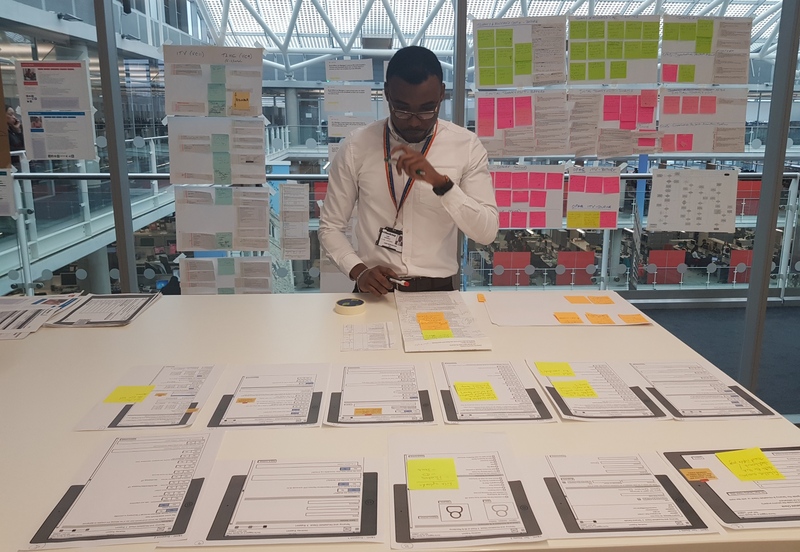 I had the opportunity to work at London Borough of Hackney as a UX Researcher and it exposed me to different projects including two product designs and one service design. My contribution to the product design projects involved research and interaction design for a new digital alternative (My Property Account responsive app) to meet the needs of Hackney leaseholders; and for another product (Manage a Tenancy app optimised for tablet) to aid estate officers and area managers to serve Hackney tenants in more efficient and effective ways. 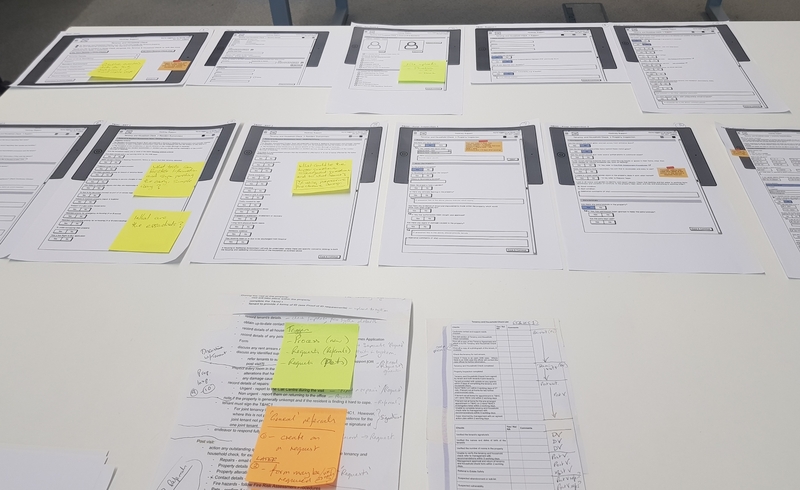 The service design program involved designing a digital support blueprint to improve starters' experience through induction, but first understanding staff needs across their journeys. I worked in a multidisciplinary agile focused team of 8 and I was actively involved in planning and designing research strategies, facilitating, analysing, reporting feedback and insights, as well as generating actionable recommendations to inform the design direction of both products. I engaged in quantitative and qualitative research and applied evaluative and generative methods. 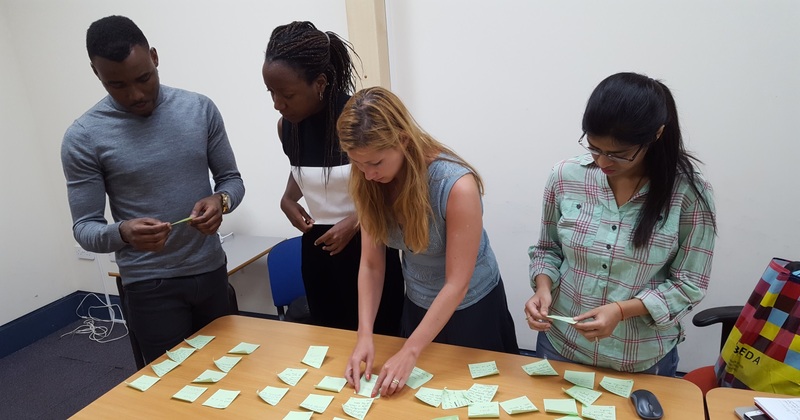 The studies I carried out involved, but not limited to user interviews, focus groups, contextual inquiries, card sorting and journey mapping workshops. My team and I iteratively designed, prototyped, tested, validated and discarded ideas to ensure we deliver a useful and usable product for the end users. The research findings and insights I acquired enabled me to create purposeful artefacts to aid communication with stakeholders, likewise help my team and key stakeholders empathise with the users better. I adhered to the principles of design thinking, worked with organisational procedures and industry standards. One of the activities of doing so include conducting local government digital services (GDS) assessments for both products at critical milestones/release phase following discovery, design, development and testing. We also ensured strict compliance to the new data protection act (GDPR) by processing, sharing and storing peoples data in line with regulations. 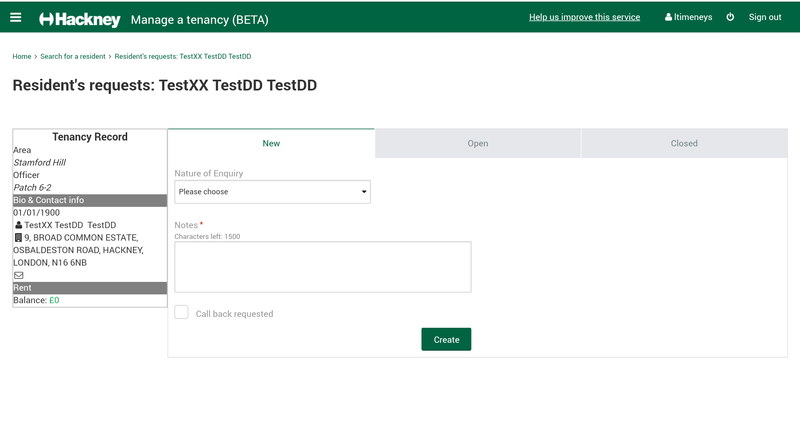 Each project was as interesting as the other but for the sake of space and brevity, this case study is focused on the Manage a Tenancy app project. Hackney's vision is to build digital products that will enable Housing Officers provide information, advice and services to tenants and leaseholders. Hackney Council already meets many of its residents' needs online but there exists questions and requests from tenants and leaseholders where digital services have yet to be created. The Neighborhood Services on the other hand is challenged with an integrated but outdated housing management system called Universal Housing. The system coupled with several inefficient paper-based processes yield poor data quality and don't support self-service or mobile working. Thus the justification for new digital solutions to propel the council towards a new organisational restructure as part of a wider modernisation programme that will streamline the way Housing Services operates, delegate more authority to front line staff and provide clearer lines of accountability comes to light. equip estate officers with the tool to effectively help and direct residents to self-serve online. 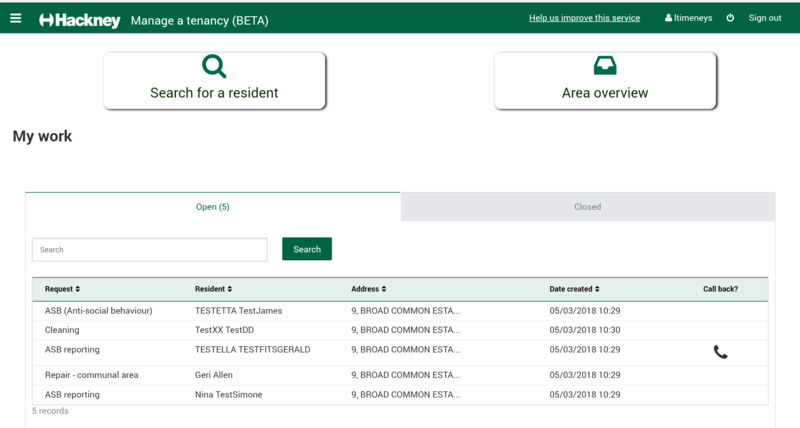 Doing so, the system will capture requests and queries from tenants and leaseholders where self-service tools don’t exist, route these to the right part of the housing department, provide tenants and leaseholders with a view of the status of their request, and capture data about the requests in order to inform the pipeline of activity to build end-to-end digital services. store all records of resident interactions in a unified repository such that they are accessible to all resident-facing staff. enable assignment of resident requests to relevant teams / officers. support automated workflows and the storage of supporting documentation. improve estate officers productivity with more mobile working and less office administration duties, thus the need for them to work anywhere, on any device. 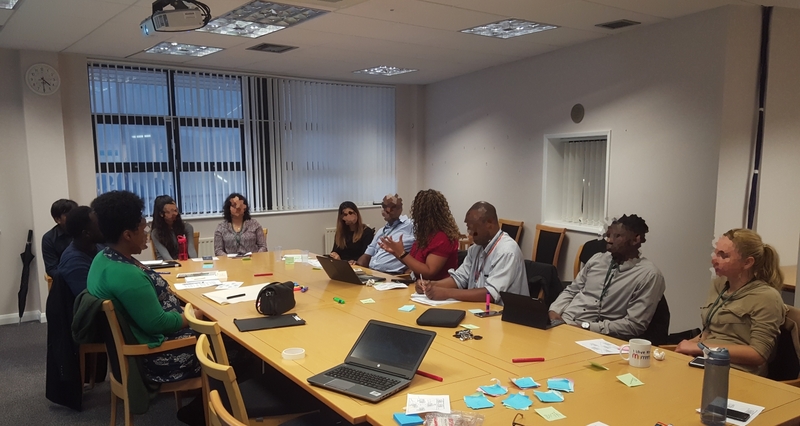 Kicking off further discovery work to understand the business and user needs better, I first identified the project key stakeholders, had meetings with them, then followed up with 1-1 interviews with the product owner and the business team to clearly capture business requirements. At this point, I had gained fundamental knowledge of the neighbourhood housing workflows, priorities for a minimum viable product (MVP) and who the intended users would be. I soon after reinforced my findings with secondary research on related studies carried out by the previous research teams. This gave me a launch pad for my mission. To understand the users and empathise with them better, I arranged three focused group sessions across 3 different neighborhood offices, each with an average group size of 7 participants - involving team leaders and estate officers per session. The discussions opened up to me known and new user needs, goals, motivations, frustrations and concerns. The captured user needs spanned across efficiency, technical, usability, communication and system availability issues. This wasn't enough, I needed to align what users say to what they actually do. Besides, the need to obtain richer, unrestrained feedback following the focused groups inspired a further study where no group think or team leader influence would exist, so 3 contextual inquiries with the officers i.e. 2 desk-based and 1 field-based were conducted to clearly understand how the officers use the current inefficient system, capture their pains and to probe them when necessary as I observe them conduct certain tasks. Not only did these various meetings expose me to fresh insights, I could also validate preconceived notions originating from self and the business team. Moreover, I formulated a mental model of the users early on to inspire draft personae of the users. 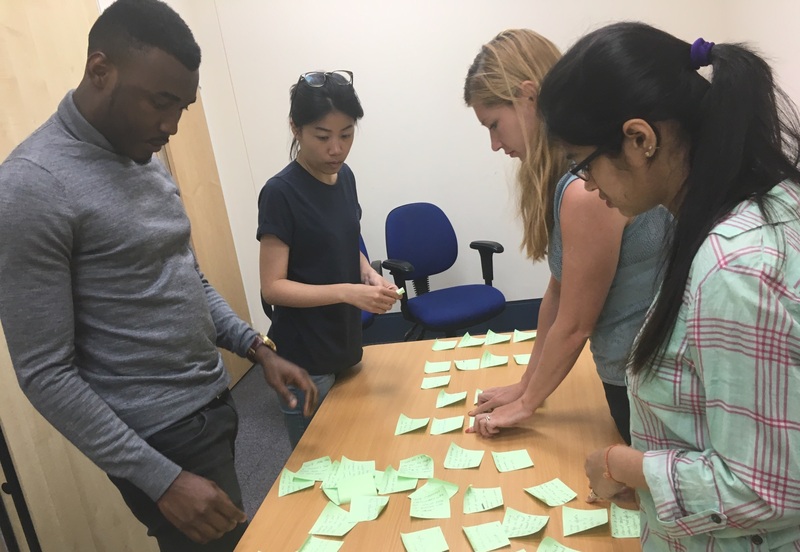 I then arranged a combined user stories and empathy mapping workshop with 10 participants to collect and classify stories and epics for selected services, and to capture user thoughts and experiences through their journeys. I regularly fed back to the stakeholders including the product team and business team with the aid of visual presentations using G-Suite products such as Google Slides at show-n-tells and online sharing. 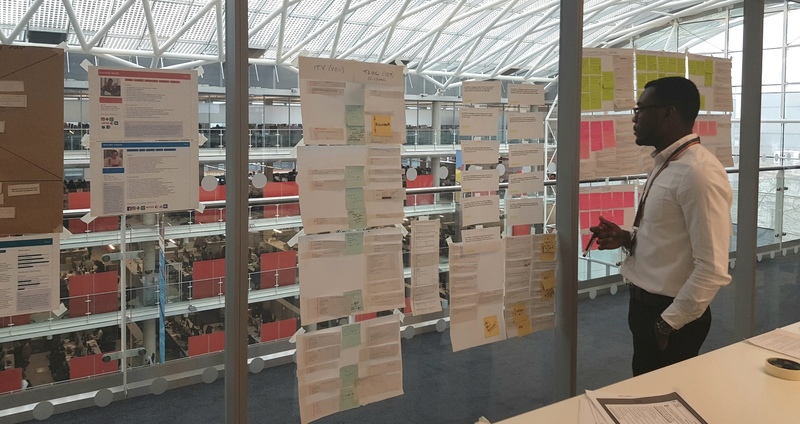 Some of the generated artefacts that aided this process and informed the design direction include primary personae of the Estate Officer and Team Leader each, empathy map and an epic board. Equipped with adequate research findings and insights, the product owner could then effectively prioritise user stories for backlog creation on Jira, as well as provide clarity on the MVP requirements. 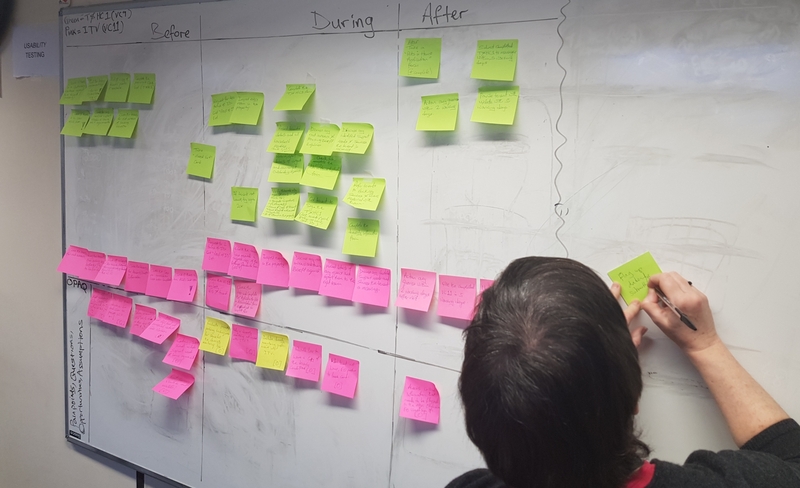 The product team including myself often collaborated with the product owner to update the backlog and generate a new sprint bucket list every fortnight following sprint shipment. A skilful illustrator, I often conceptualised ideas with stakeholders using the old, quick method of sketching to rapidly seek early feedback before expending more effort into design work. I usually followed this process with wireframe design using Balsamiq. The wireframes enabled better visualisation of design ideas for evaluation with the product owner and ensure conformity to standards. Designs usually shipped from lo-fi wireframes to coded interactive prototypes by the developers on Outsystems - a low code, robust platform widely utilised in the organisation. I would then arrange and facilitate user testing sessions alongside a co-researcher to gather user feedback, assess the level of usability achieved thus far, identify constraints and iterate gradually till a more stable, useful and usable product is achieved. 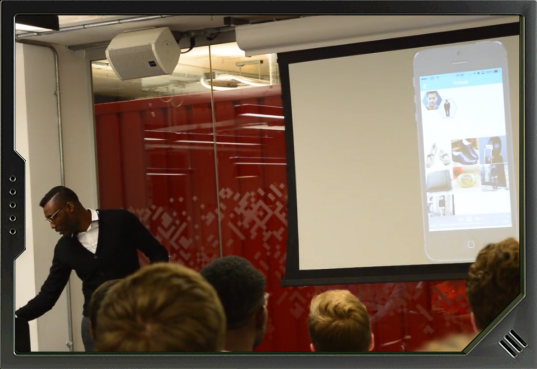 MarvelApp enabled my team to easily review prototypes, and annotate comments for more iterations. Designing the Tenancy Audit and Home Check work flows involved the above process together with two journey mapping sessions with estate officers for story boarding and one card sorting workshop to identify the affinity between datasets extracted from the old lengthy paper forms, their similarity and importance. What questions/information are classified as sensitive, required and optional? What information can be obtained through engagement and observation? What ways can the questionnaire be grouped in similarity and relevance order, and what flow? What information are difficult to obtain or those which require more effort interpreting? 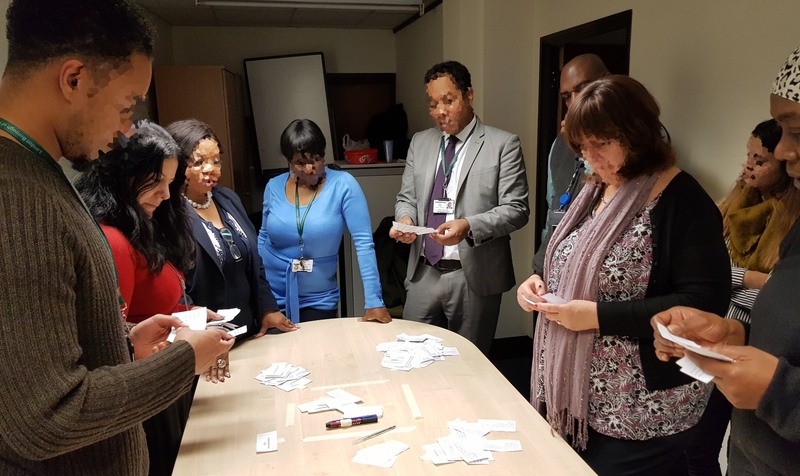 The card sort workshop helped inform a better information architecture for an efficient navigation through the Tenancy Audit work flow. I particularly had the questionnaire re-arranged in logical flow that is friendly to the use from their identification and classification of form items in groups in the sense that they can be probed (should ask), observed (should see), and fetched (should have). The product beta version (MVP) which includes a Hub to create and report incidents was successfully launched in pilot phase at one of the neighbourhood offices with selected officers for an initial 2-month period as planned by the management to seek early feedback from real world use by real users. 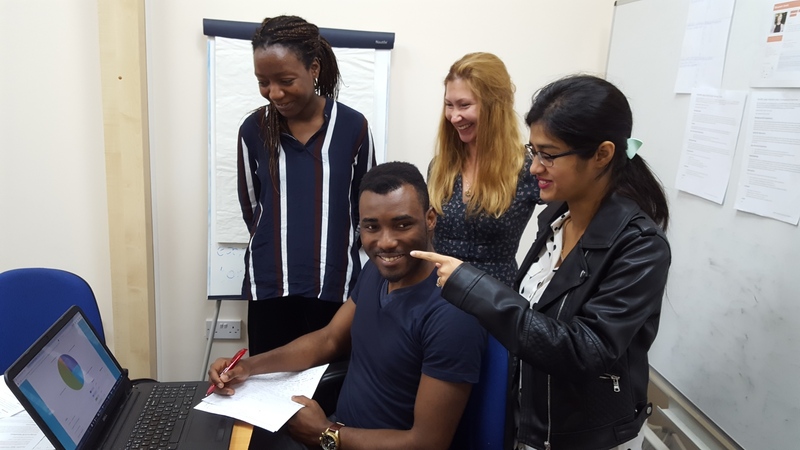 It was well received on the day of launch and the common feedback from the testing officers was that they found the app fast, simple and easy to use. The Tenancy Audit and Home Check design provided a framework to support additional neighborhood services processes. The GDS assessment passed 12 out of 15 points as my team understood user needs, we used agile methodology, we iterated and improved regularly, we evaluated user data and ensured no breach of the data protection act, we used open standards and wrote re-usable APIs to it, we tested the end-to-end service in an environment similar to that of the live version, we made sure the user succeeds the first time, we built a consistent user experience, identified performance indicators and planned for ongoing user research. The GDS report is published here. Thanks for reading!